Just because someone claims they are a Retail Guru or Consultant, doesn’t mean they really are or that they know what they’re talking about. If you can’t measure, you can’t manage. True. That phrase is still very relevant and probably always will be. Without measuring, how would you ever know what to be busy about, as Mr. Thoreau says? Or, where to focus your efforts? There are people running around – calling themselves business gurus, consultants, etc. as mentioned above – who are claiming that the above statement is incorrect. They say that measuring is causing staff to cut corners; to hurry customers through the line or off the phone just to meet some numerical goal. They say that it shows that employees are not trusted. We think they’re just trying to get attention. As we said, the statement ‘If you can’t measure, you can’t manage’ is still true, regardless of how good or bad you are at running your company and setting your goals and targets; regardless of whether you treat your employees respectfully and show that you trust them or not and regardless if you want to build and maintain a loyal customer base, or not. Bad management is simply bad management whether you measure or not. Bad managers are neither helped nor hindered by measuring because bad practices and poor management will always find a way to race to the bottom, no matter what. But good management is enhanced, and business is improved, by using key performance indicators to help guide decision making and much more. For the record, yes…you should be measuring anything that you consider to be important in order to manage your business well. Obviously, expecting staff to rush customers through a line or off the phone is not something that would happen in a well managed company. Neither should you want them to chat with Mrs. Jones for a half an hour about the surgery her pet has just undergone. Having high standards and performance expectations is not the same as harassing and beating up your people to make them go faster or being so lax that nothing gets done. With the proper training and understanding, employees will learn how to conduct themselves without rushing or lagging behind. They will perform as expected. We must not be influenced by people who use those simplistic examples; people who ignore the bigger picture and hone in on details presented out of context. It is always better to measure performance. But, do it properly…for the true benefit of the business. Now, if you’re like most business people, you are currently planning something – maybe a brand new week, month, year or 5 Years. And, you’re planning because you know that success does not come by accident and hope is not a strategy. We know where you can get the help you need with the serious planning, if you want to be successful. Our Performance Paks and Webinars are built to deliver. Check Performance Paks out here. Toronto, ON September 22, 2016 — DMSRetail, a leading Consulting, Training and Services company for progressive retailers, brings leading edge retail management techniques to Singapore for the First time. Senior Consultant and EVP for DMSRetail, Matt Parmaks says “Over the past two or three years we have seen huge growth in our business coming from the South East Asian Market. We decided it is the right time to offer our premium Retail Management training programs over there where people could attend without incurring the huge cost of travel that is usually associated with getting the benefits of leading edge retail management training. From sophisticated retail business success methodologies and analytics to good, old fashioned customer experience strategies as well as performance management techniques that are so crucial for these tough times, DMSRetail brings it all together in a fast paced workshops designed for retail managers and retail business owners alike. Another Senior Consultant with DMSRetail, John Callaghan says “Doing well in a retail business is not as straight forward as it used to be. With the overall economical conditions the way they are, South Eastern Retailers are buying in to the fact that they must do more about investing in their knowledge, leading edge techniques and their people. Don’t Miss These Game Changing Workshops! With all the buzz around omni channel retailing, social marketing and new technologies that are either evolving or being implemented, one success factor remains the same and it always will. 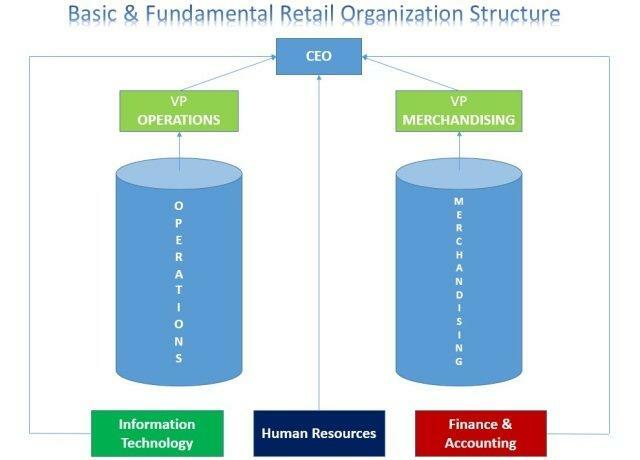 That is the human factor that makes the essence of successful retailing. Retail Success Accelerator addresses the performance of the store staff at associate, supervisor and the store manager levels. Be assured that without fully competent, fully engaged staff, any other effort to increase customer satisfaction and ultimately increase profits, will be wasted or at best will not deliver its full potential. #1 Problem for Retailers is non-performing stores. In a lot of cases, stores do not perform even at their half potential. This product solves the issue.., Your High Performance Delivered. Retail Success Accelerator is a Store Performance Solution and you can put it to good use to ensure you get the maximum performance from your store staff. Obviously, the quality of contribution and support from other functions like Finance, IT and HR is very important as well. All these functions must align around the vision of what needs to be achieved and when. One of the most effective ways of making people work together, is to tie their compensation to the over-all performance of the organization. This is as important as, if not more important than the culture building and/or other soft approaches to performance leadership. What we see in many retail organizations is only the top management has their compensation tie in to the performance of the company. This is where many retailers go wrong. Realities of doing it for all levels are obviously much more complex and require some serious effort. But that’s the price of winning at retail just like in anything else. The fiscal month is coming to a close. The store’s sales performance has been lackluster for several months but, this month, they are doing much better. This coming Saturday is the last day of the month. The Store Manager wants to take the day off to do something with family members. The District Manager says no. The Store Manager is very upset. What went wrong here? Did the District Manager do the right thing by forcing the Store Manager to cancel her plans with her family and, instead, work in her store and make the month? In the particular case the Store Manager put in a huge effort and the store made the budget for the month. In fact, the budget was made by midday on Saturday and, as previously agreed, she was allowed to take the balance of the day off after budget was achieved. The Store Manager will earn a nice bonus and has finally got one really good month on her books. She should be happy and proud. In the days leading up to the last day of the month the Store Manager made quite an argument against working that day. She stated that her staff could sell just as well as she could, that if customers didn’t come in to buy then they wouldn’t make budget anyway, if there was bad weather the store would be empty, it was not their fault that they were out of certain types of merchandise, that she couldn’t work every Saturday just to guarantee that the store made budget, etc. In effect, this Store Manager was saying that she did not make a difference to the success of her store. What’s with that? The District Manager reasoned that, while it was understood that she needed time to do certain things with her family, this was the final day of the fiscal month. As it happened the store was very close to making budget for the month and the Store Manager could certainly use a good month after several bad ones. The DM told her that without her being in the store the company couldn’t really be sure that every single thing was done to ensure budget was achieved. On top of all of the really good reasons for her to be in the store driving the business, the Manager was going to make a nice bonus if they achieved budget. Still, the Store Manager did not believe her presence was going to make a difference. The District Manager needs to take a good hard look at what went on in this situation. How could it possibly be that the Store Manager didn’t think she would make a difference? Why, then, is she there? And what does that say about the performance of the store in recent months? Has the Manager had this attitude for a while? These things really make you think. At least, they should make you think. The District Manager has said that there is absolutely no doubt that if she had not pushed for performance, it wouldn’t have happened. Hopefully, the Store Manager is excited and feeling a little more responsible for her results (good and bad) and that any damage done can be repaired. Also, hopefully, the Store Manager has learned a lot from this exercise and will grow from the experience. If not, well that Manager probably shouldn’t be there anyway.